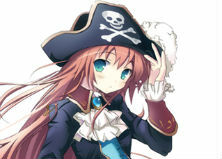 A major ISP in Japan says it will begin blocking pirate sites voluntarily. There is no legal basis for site-blocking and the country's constitution forbids censorship. However, NTT says that it has adopted "emergency measures" until the necessary legislation can be put in place. Meanwhile, one of the sites targeted has mysteriously disappeared, abandoning 100m monthly visitors. AnimeNewsNetwork notes that a news program on NHK dedicated to Mangamura focused on the site’s administrators with claims they can be traced back to the United States, Ukraine, and other regions. Whether this exposé played a part in the site’s closure is unclear but that kind of publicity is rarely welcome in the piracy scene.